So lately I’ve been on a mission. Okay, in reality, I’ve been on this mission, but I’m kind of bad about staying on topic sometimes because I’m always doing so many things at one time. There’s only enough room in my brain for so many things and since I don’t consider this a major and pressing emergency, it often gets pushed back. Anyway, I’ve been on this mission to clear out our home of clutter and things that we don’t need. In general, I just want to live a simpler life with less of a focus on “things” and more of a focus on ourselves individually as well as our family as a whole. Needless to say, it hasn’t been exactly easy. I love my Tom and Emma, but they have a lot of stuff…some of it over 20 years old in Tom’s case. Are you like me? Drowning in stuff? I’d wager a bet that you might just be. We are a society that focuses a lot of our energy on material things after all. We always have been. I’d also wager that, like me, you’re probably at least a tiny bit fed up with all of the stuff and one some level, you simply long for simple. Am I right? Getting rid of the things is the easy part. Figuring out where to take them or sell them can be the hard part. The internet is vast and if you’re not careful, you could easily find yourself being scammed, losing money or worse. With so many different sites out there, it can be hard to figure out where to sell items you no longer want online. Ebay is a great option, but if you think like me, Ebay is also very expensive for fees. 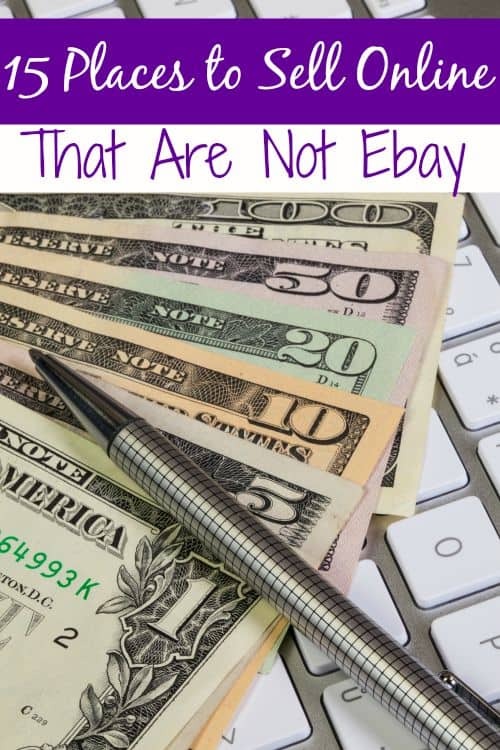 These 15 places to sell online that are not Ebay are all a fantastic place to start! Amazon.com – Did you know that you can actually become a seller on Amazon and sell the items you no longer want? With Amazon Marketplace you sure can! There are two types of accounts, one for sellers who won’t be selling often and one for pro’s who sell a lot. The regular account is free with fees once you sell an item. The pro account has a monthly fee. You can also trade items you no longer want for Amazon gift cards. They will take items from several different categories so it’s worth a look. Swap.com – If you’re drowning in kids or women’s clothing, shoes, books, toys and more, be sure to check out Swap. To sell on Swap, you’ll box your items up and send them into Swap. They go through, photograph what they accept and mark what they don’t. You price the items they accepted and they store them. If you want the items they didn’t accept back, they will ship them back to you or you can choose to donate them. ThredUP.com – If you have higher end women’s, kids and baby clothing and shoes or designer handbags that you’re looking to get rid of, ThredUP is a great option. Send your items in and ThredUp will pay you a consignment price. It saves you from having to photograph, ship and all of that jazz that comes with selling at other places. Bonanza.com – This is probably the site closest to Ebay on this list. Bonanza is an online auction site with one difference. The fees are significantly less than with Ebay. You have to open your own store, which does have a fee, but they give you a free trial to test it out. Craigslist.com – An oldie, but goodie, Craigslist is still a go-to when selling things online. To maximize your sales on CL, make certain you’re posting in the correct category and post during the day. If you post overnight, your post will likely be pushed down the page too far by the next morning. As always, always meet Craigslist buyers in a public place with lots of people around for safety. Shopify – Want to create you own online store? Shopify can do it for you and it is VERY affordable! When you sign up for Shopify, you’ll need to choose a lan. Plans start at just $9.00 a month and go up from there. This can be a great way to create your own resale business with very little money spent out of pocket. Etsy – If you’ve got vintage or handmade items to sell, Etsy is the place to do it. You’ll need to start a store (it’s free) and you will pay final sales fees on your items. Other than that, Etsy is pretty straight forward. Tradesy – Here is another one that is great for women’s clothing, shoes, bags, and accessories! It’s super simple to sell and they even accept wedding items! I actually sold my wedding gown here and got a decent price to boot! Gazelle – Do you have old electronics that need to go away? Gazelle is where I send mine to. They take everything from Blackberry and iPhone to iPads, Kindles and more. Once you send the item in, they evaluate it to see if it matches the condition you gave them when you sent it in. After that, you get paid! They pay by Amazon gift card or Paypal. Cash for Books – This is one that I’ve been a member of since around 2007 and one that I love. Cash for Books will pay you for your used books. They won’t accept all types of books though and some they simply aren’t looking for. Start a store and then search by ISBN number to see if they will accept the books you’re trying to unload. Brian’s Toys – Do you have old action figures or dolls that you’d like to sell? How about new ones that are in mint condition? Brian’s Toys might just be the answer you’re looking for. They use a couple of apps to help you list what you have and what they’re worth. Their focus is on Star Wars toys, but they DO accept quite a few other toylines. Powell’s City of Books – This is another place to sell your unwanted books. They pay either by Paypal or in store credit (which can be great for homeschoolers looking to build their curriculum!). They do have pretty strict requirements on condition though so be sure you check them against the books you’re looking to sell. SecondSpin – Have DVD’s, Games and CD’s to get rid of? SecondSpin will buy them from you! I haven’t personally used this site yet, but it has great reviews online from what I can tell. Their process seems to be pretty straight forward and they do offer shipping reimbursement in some cases. You can read about their selling requirements on their website. Decluttr – This is a site that I adore. With Decluttr, they buy your games, dvd’s and bluray’s too. Their prices were fair the last time that I used them and the process was very simple. Grailed – So many sites only accept women’s or kids clothing, but at Grailed, you can unload mens’s clothing that you no longer need. They accept both mainstream brands as well as designer brands. To sell, you’ll need to register for an account then upload your listing making sure you choose between designer and “basic”. Basic is for more mainstream brands like Merona and Diesel. Payment is made directly to Paypal each time you sell something. Thank you so very much for the post….it came exactly when I was about to A) Pull out the 50% I’m blessed to still have left of my hair out *I’m on chemo* B) Just have someone pack all clutter and donate! Then I am @ the end of my rope& now have option C) Sell online! !~ Thank You! Many great ideas. I have heard some of those, but many were also completely new to me. 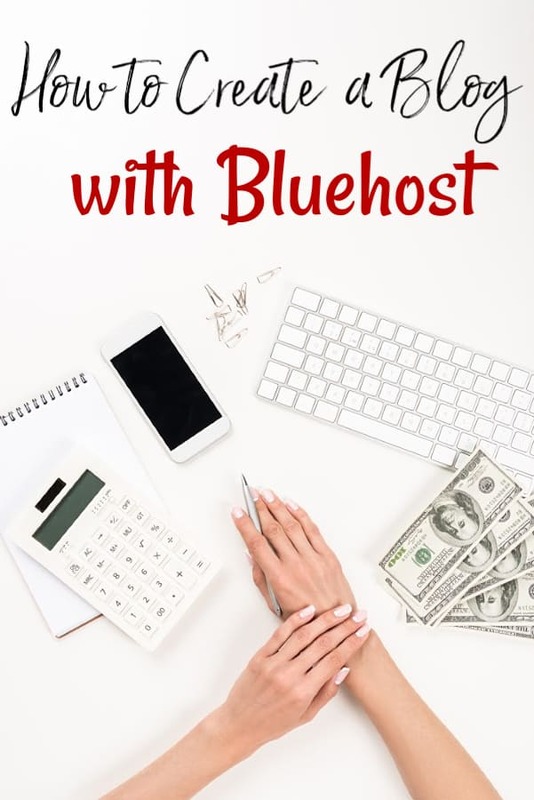 Definitely helpful to make some extra money from home! Thanks. You have given me hope. I need to declutter my home of clothes, electronics, and other items , as well as make cash.